Dream Line Review 2019: Is Dream Line a Good Hosting? Dream Line provides high-performance dedicated VPS solutions to help small, medium, or large businesses reach their global audiences across a world-class network infrastructure. 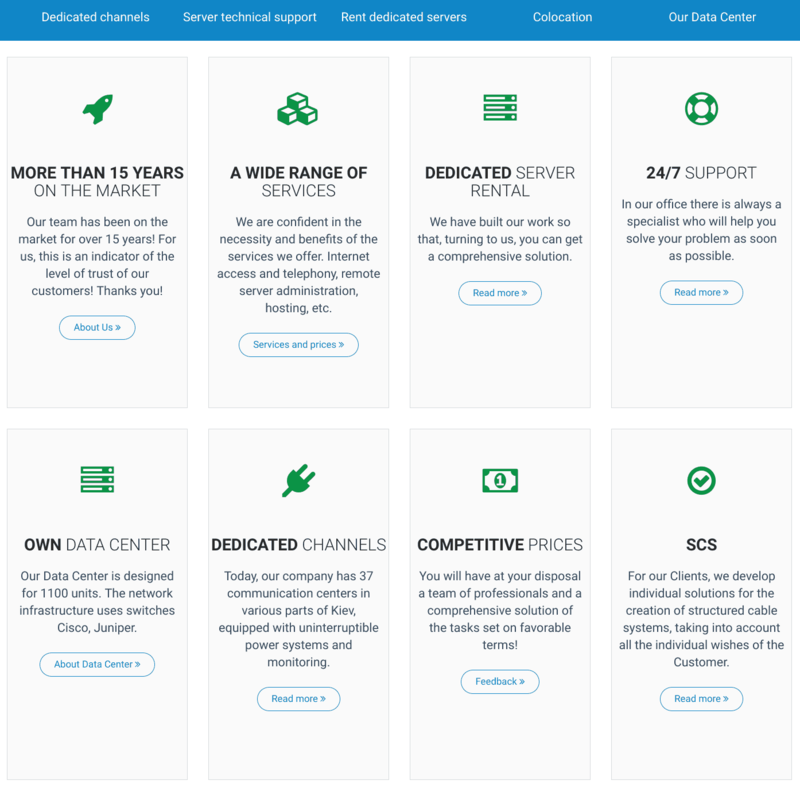 Their bare servers allow you to take full control of your hosting solution, but you can also take advantage of their additional administrative services. Dream Line is a Ukrainian server rental and IT solutions company that has been in operation since 2007. Their range of server rental products focuses on businesses with high-performance requirements that want worldwide speed-to-market thanks to a world-class network infrastructure. To this end, they offer a range of high-performance dedicated VPS and colocated server solutions as well as extensive server administration services. In addition to Ukranian and Russian, they can also communicate in English, German, and Hebrew, but their website is in Russian unless translated by your browser. In order to provide premium hardware at affordable prices, Dream Line offers bare servers that you’ll need to set up yourself. If you can’t do this yourself, you can ask them to help you (at extra cost) with installing an operating system, webmail, programming frameworks, voice over IP (VOIP), traffic prioritization, VPN setup, and much more besides. Dream Line’s dedicated VPS servers come with a choice of powerful ARM and Intel processors, and you can also choose from some interesting storage configurations with SSD options and RAID redundant solutions. If you want to rent colocated server rack space, you can take advantage of their superb network infrastructure that offers up to 100 Mbps worldwide connections and 1000 Mbps ports as well as unlimited traffic. Dream Line is so serious about performance that it posts performance results on their website. The fact that Dream Line only provides hosting in the form of dedicated VPS server rentals makes for very easy-to-follow pricing, but they still provide sufficient variety with nine options split across minimum-load, average-load, and high-load categories. Their prices are evenly spaced so almost anyone can find a sweet spot in their budget. Don’t forget that the base prices are just for the basic server and operating system, so you’ll have to purchase additional software separately (and install it yourself). You can pay them for additional assistance, but you’ll need to contact them for a custom quote. The bottom line is that while the base prices are cheap for their high-quality bare metal servers, those prices might not seem so cheap when you factor in everything else. But they do provide a 10-day money-back guarantee that gives you a window in which to test the level of service. Dream Line’s responsive and knowledgeable 24/7 technical support for their bare servers can be accessed via dedicated telephone lines, tickets, or email. Customers can also arrange additional installation and other help for a one-off fee or on a standby basis. Unfortunately, there is no knowledge base and no help documentation. Dream Line offers outstanding computing resources and network infrastructure, but not much else. So they’re really only right for you if you already know what you’re doing or are willing to pay extra for their additional installation and other services. Check out Dream Line’s web hosting options today! Wondering how Dream Line stacks up against other Web Hosting companies? Enter any other Web Hosting company and we will give you a side-by-side comparison.